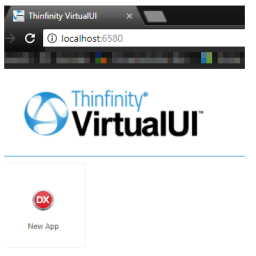 Web Enabling SDK for Windows Apps - Cybele Software, Inc.
Thinfinity VirtualUI delivers your Windows apps on any device, anywhere. All with a single line of code. 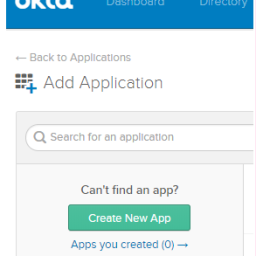 As users are migrating from traditional desktop computers to mobile devices, transitioning your Windows application to the Web is the next logical step to increase your exposure. You can make your Windows applications accessible from the Web TODAY. Furthermore, you may enhance your existing applications with online data, rejuvenate your older software, and deliver your application to anywhere in the world, all with Thinfinity VirtualUI. When publishing to the Web, sometimes data needs to be visually arranged in a new pattern, different from the way it is presented to the user in the desktop application. Or maybe the interface needs to be replaced or enhanced to better accommodate the new devices it can now be accessed from, for the adequate functionality and integration. Usually, the urge of going beyond simple cosmetic changes also appears. One may wish to combine the application with native web resources, such as personalized web searches, multimedia resources, specialized information and data, and the like. With small touches here and there, Thinfinity VirtualUI can transform the look and feel of your traditional application to offer your users a brand new experience. Unlock the Power of jsRO! Need more insights? 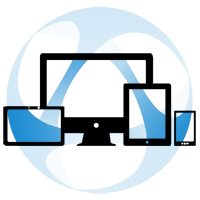 Take a look at our 11 tips to Adapt PC Desktop Applications to Mobile Devices article to discover how VirtualUI can transform your Windows applications. Thinfinity VirtualUI is designed to have a straightforward implementation. Installation and setup will only take a couple of minutes before you can enjoy access to your desktop application from a browser in a pure HTML5 interface. Review our Thinfinity VirtualUI Guide for a Smooth First Time User Experience and contact us if you have any questions or need some guidance about the best way to take your application to the Web. 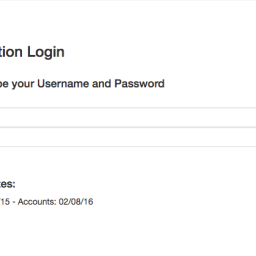 As a first step for moving your terminal-based application to the web, you may want to replace an authentication screen…. Thinfinity VirtualUI v2.5 is here! – Free developer license:Actually, the program does not require any license. It works right out of the box, enabling instant GUI remoting for your Windows-based application. – PRO Developer license: enables the jsRO features for web integration. When you install VirtualUI you have 90 days to test these features. We sell permanent licenses. Each server license must specify the maximum number of concurrent users needed. In this kind of licensing you would pay for what you use simultaneously. Maybe you have 100 different users but you might have just 5 simultaneous connections so in that case, you need 5 connections. You may require all your Concurrent Users to be assigned to a single server (one serial) or different servers (one serial for each). For your reference, a server with one concurrent user will cost you $69. We offer volume discounts for volume purchases. Email us to sales@cybelesoft.com for further details.